“We are in the process of going through the report in detail and will likely have more to say in the coming days once we have fully reviewed the report, its recommendations, and consulted with our members,” said Earle. “We are hopeful that the recommendations contained in the report are acted on by the provincial government. 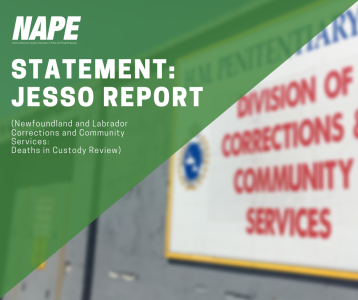 For our part, we are ready, willing, and able to be a partner in the process of implementing positive change in our correctional facilities,” said Earle.